In January of 2018, Emerald Creek Capital provided a $6,425,000 construction loan in Bridgehampton, NY. The loan is secured by a 26,572 square foot beachfront property on Dune Road, currently being developed into a three-story, 4-bedroom residence with 6,431 square feet of gross living area. 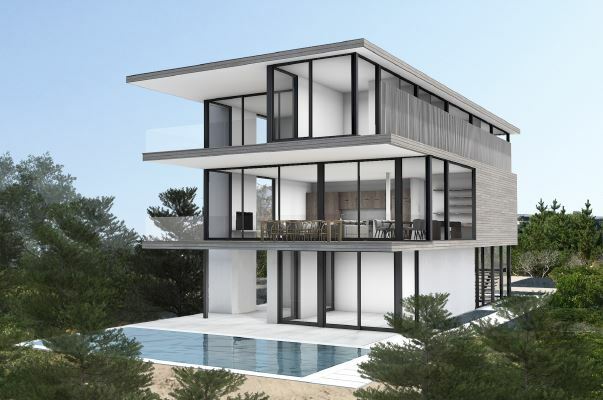 Designed by world-renowned Stelle Lomont Rouhani Architects, the modern home will feature floor-to-ceiling windows with sweeping ocean views, an outdoor patio, and in-ground pool. Bridgehampton is an upscale town on the south shore of Long Island known for its beautiful white sand beaches and as home to the Hampton Classic horse show. The subject property is located minutes away from the town of Bridgehampton and easily accessible by Montauk Highway.